Tammie Davis | Whats Happening? Why buy Advance Tickets to the Dixie Classic Fair? Enjoy the Tradition of Food, Fun and Competition at a discounted price! Advance Tickets now available online and at the locations below! Buy now, save now and enjoy more at the 2014 Dixie Classic Fair! Up to 25% savings with advance purchase. Up to 50% savings with advance purchase. The scrambler ride at the Dixie Classic Fair, 1960. The Dixie Classic Fair Winston Salem is generally held at the beginning of October. It is a ten-day event. The Dixie Classic Fair is an annual fair held in Winston-Salem, North Carolina. The fair takes place every autumn on the Dixie Classic Fairgrounds (formerly known as the Forsyth County Fairgrounds), which is part of the Winston-Salem Entertainment-Sports Complex; the grounds are located adjacent to the Lawrence Joel Veterans Memorial Coliseum. 371,219 attended the 2007 Dixie Classic Fair, which was a new attendance record. This attendance record elevated the Dixie Classic Fair to the 50th largest attended Fair in North America. Joe White and Jim Dalrymple, at left, examine heads for the baldest man contest at the Dixie Classic Fair, 1967. The fair began in the former town of Salem as a grain exposition in 1882 (2007 was the 125th anniversary). In 1897, the Piedmont Tobacco Fair was started and shortly thereafter the two events merged to form the Winston-Salem Fair. The fair moved to its current fairgrounds in 1952 and changed its name to the “Dixie Classic Fair for Northwest North Carolina” in 1956. Today, the event is most commonly known as just the Dixie Classic Fair. Every day is a brand new day at the fair. A Tradition of Food, Competition and Fun! Promotions and events you don’t want to miss. Featuring one heart-racing, toe-tapping event after another. All Grandstand events are FREE with paid Gate Admission to the Fair. All seats are on a first-come, first-serve basis. Our 2014 Grandstand Entertainment Schedule has been finalized! Can’t wait to see all these amazing events! 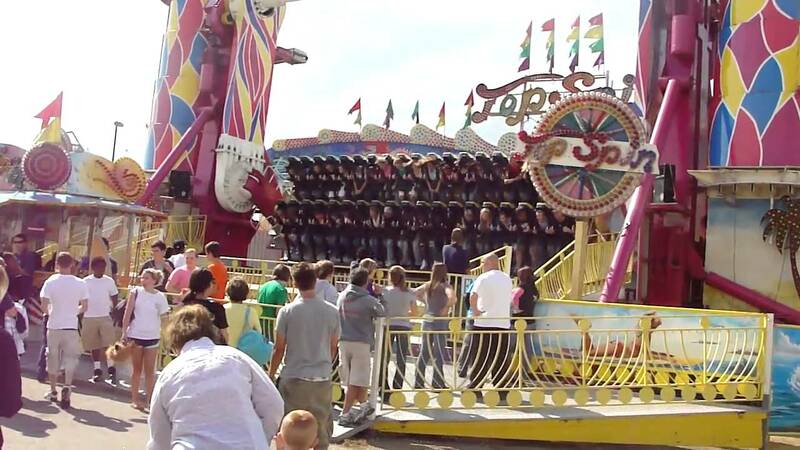 Top Spin rated the best ride at the Dixie Classic fair. Scary! Smokin’ Harley-Davidson Wine & Swine Festival to benefit Christy’s Courage Foundation. Christy’s Courage Foundation is a 501C3 non profit helping children & adults born with Esophageal Atresia. EA a rare birth defect, which is being born without an esophagus. There are approximately 4000 to 5000 children born in the United States yearly and 10,000 worldwide who have Esophageal Atresia. I am an EA survivor, which is my inspiration to reach out to others like myself. I can offer other EA survivors my experience living with EA to help them and their families make their journey a little easier than mine. The nonprofit started as a book I was writing of my life and when I meet a little girl, with EA, who needed an adjustable bed to improve her health it became my mission to provide that much needed bed. After that accomplishment I was on my way to touching others with EA. My success is defined by the drive I have to find a cure for EA and the supportive people and organizations who partner with Christy’s Courage. When I meet the children living with EA daily, I have no doubt they are my reason to be successful. Our success is measured by improving one EA child’s life at a time.